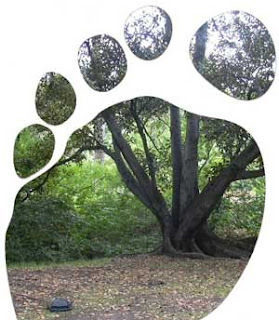 Carbon footprint- this is the word that stings me every now and then. I was reading many stories off late, and measures that we must take in order to check carbon emissions. Why we woke up so late? After destroying everything, did we realize suddenly? This is called as corporate. For every project, we always do a SWOT analysis, and it shows us the Threats as well. But in the name of development we ignored it; not that we did not know where this development would take us. To repent over the spilt milk is human being. And let us try to control our carbon footprints now. Can we shut down all the factories? Can we grow a jungle over night to control our carbon emissions? And by the time our jungle grows up, what would be the extent of carbon produced by our on going projects? It is a very clear and simple calculation, and the inference is pricking me somewhere at the level of my soul. I have to blame myself for all this, and I wish to take the responsibility. Largest source of carbon production is the humanity in fact. What is the total population of the world? It is beyond my imagination, and still growing each passing day. We breathe out for 18 – 20 times per minute approximately. That means individual breaths out for 25920 times per day approximately. And here onwards we can calculate the amount of breathes expelled out on yearly basis by an individual. And with every such breath we emit carbon dioxide in the environment. The amount of carbon released by all the human beings, across the globe, at the end of each passing minute aghasts me. The fountain of traditional wisdom in the form of philosophy gives us the in sight. It shows us the absolute truth, and tries to differentiate us from the canines. Because we can analyze and based on facts we can draw an inference as well. Yoga philosophy was narrated only to take the human quest of spirituality to a new height. Unfortunately, it became a science of flexibility and refrained within the art of postures itself. Yoga is a true mirror of ones self. It connects us to our inner being. And Pranayam plays a major role in this process of spiritual realm. Sarvam anyat parityajya Mam ekam sharnam gacha !! Leave everything else behind and follow the path of myself. Try to find out this “myself.” Probably, all your prayers would be answered, all your questions would be solved. In the name of Lord Brahma – the wisdom, for the sake of humanity.